Last performed on the Civic Mainstage in 1973, and currently enjoying a blockbuster revival on Broadway, Hello, Dolly! bursts onto the stage with humor, romance, high-energy dancing, and some of the greatest songs in musical theater history! 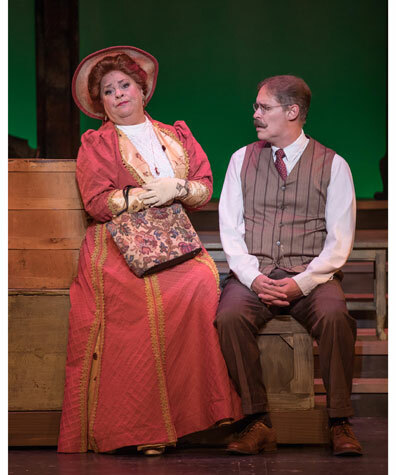 The romantic and comic adventures of Dolly Gallagher-Levi, a turn-of-the-century widowed matchmaker and "woman who arranges things," comes to brilliant life as she searches for a bride for the "half-a-millionaire," Horace Vandergelder. The show's memorable songs include "Put On Your Sunday Clothes," "Ribbons Down My Back," "Before the Parade Passes By," "Hello, Dolly!," "Elegance," and "It Only Takes a Moment." Hello, Dolly! received ten Tony Awards in 1964 and four more for the 2017 revival. Hello, Dolly! is sure to thrill and entertain Civic audiences in the fall of 2018. Rudolph Reisenweber - LOU IRWIN, JR.
Water based smoke may be used in this production. 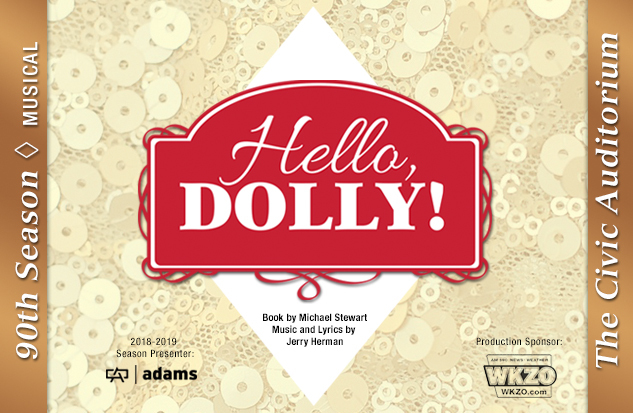 Hello, Dolly!runs approximately 2 hours and 30 minutes. All performances in the Civic Auditorium feature reserved seating. Doors open 30 minutes prior to each performance. View Seating Chart.